Throughout history, religion has influenced politics in the Middle East. But whereas in Europe religion has receded as secularism and modernity have evolved, in the Islamic world religious tensions have grown in intensity. Islam recognises no distinction between religion, politics and law. Hence there can be no legitimate distinction between church and state as in western societies. In Islam there is little distinction between private and public life. Similarly, plurality in religion and politics is far weaker than in western societies. The tensions between the two major branches of Islam – Shia and Sunni – originated in the schism within Islam after the death of Mohammad, The Prophet, in 632: a dispute over which of his descendants were the rightful caliph of the Islamic World. This still has resonance today. In the Arab world as a whole, the majority of believers are Sunni. In Iraq, however, 65% of the population are Shia, though this is a figure disputed by the nation’s Sunnis. The Shia tend to be unrepresented in government, poor and loyal to tribe and family connection rather than the State. Three secular forces have at various times presented alternative systems of rule outside the boundaries of religion; western style democracy, communism and Ba’athism. The latter provided a nationalist ideology, a single party state, a secular society and, under the brutal rule of Saddam Hussein, the conduct of politics in military terms. His aggressive leadership took Iraq to war with Iran, led to the occupation of Kuwait, and committed genocide against both the nation’s Kurd and Shia populations. In the 1990’s, Saddam introduced a “piety campaign” in response to the hardships caused by international sanctions against his rule. In an attempt to gain sympathy in the Arab world he also upped his anti-Israeli rhetoric. 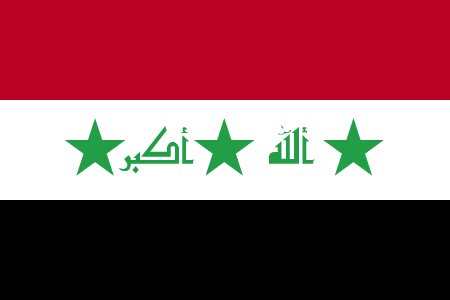 After the second Gulf war the Shia dominated Iraqi politics, electing Noori al-Maliki as Prime Minister. A savage civil war between Sunni and Shia followed. The regular army and security forces disintegrated and people relied on irregular sectarian militias to defend their communities. It was from here that the Islamic State movement, ISIS, grew. It is difficult to imagine the unification of Sunni, Shia and Kurd into a unified national state. Outside influences are already in play, with predominantly Shia Iran supporting their coreligionists and Sunni Saudi Arabia set to act in a like manner. Ir remains to be seen whether or not America is prepared to put troops on the ground and push for such a unification, but it seems unlikely at present. They will probably prefer to protect their oil interests in Kurdistan instead, not risking ties with oil-rich Saudi Arabia or their chances of accommodation with the future nuclear power of Iran.